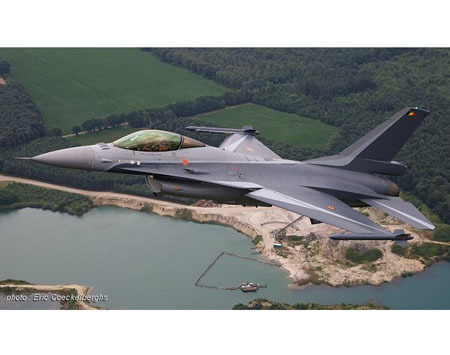 On 2007, Cdt "Mickey" Artiges is named for Belgian Air Force F-16 demonstration pilot, coming for the 1st Squadron based on Florennes AB, he flown most of air display on 2007-2008 with the FA-131 newly painted in demonstration paint. The FA-131 is the first Belgian F-16 receiving a scheme especially for Air Display purpose. As the aircraft should be used during usual operation between airshows seasons, the scheme had to be painted with the standard F-16 colors. The scheme painted on the FA-131 moreover based on a special paint applied on 1992 on the FA-111 for the 75th Anniversary of 1st Sqn.